Both skin care and makeup are important tools that help us reveal our natural beauty. For so long, I thought that skin care lines and makeup were on different ends of the beauty spectrum — makeup was only to hide yourself and taking care of your skin shows your true confidence. I realize now that I was DEAD WRONG!!! 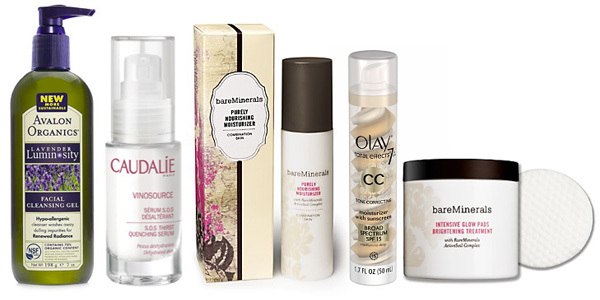 Skin care is the cornerstone to beautiful skin and makeup enhances that effort. Taking care of my skin has always been important to me. In high school, my friends would always ask me if I was wearing makeup and they were shocked when I told them the only time I wear makeup is for the dance. Back then, it was embarrassingly easy for me to keep my skin in tip top condition. I only had to wash my face and put on moisturizer and I was good to go. As I got older, everything went downhill. My skin became uber-sensitive and NOTHING would help. I tried Proactiv and it worked at first, but after about 6 weeks, all hell broke loose! I lost about two layers of skin because the exfoliant and benzyoyl peroxide were way too harsh and I was redder than a chili pepper. Then I moved on to Murad (normal kit and then sensitive), and that didn’t fare any better. After trying those two kits, I went to the dermatologist and she recommended I try Cetaphil. New product, same result…. When that happened I gave up and just stopped trying to take care of my skin. Ironically, it turned out that giving up was the best thing I could have done because it gave my skin a chance to heal itself from all the damage I had inflicted (all of the harsh ingredients in the Proactiv and Murad turned my skin into sand paper). Now that I’ve given my skin the time it needed to heal itself, I’m able to try many different but organic (even the smallest dose of chemicals will turn me back into a chili pepper!) products to pamper my skin and I’ll fill you in on which products I’ve become addicted to as a result.